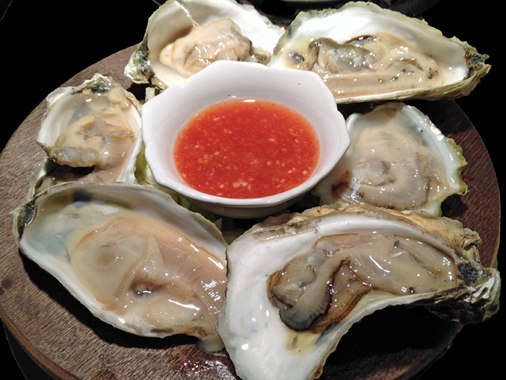 I’m enamored by raw oysters… freshly farmed from the briny New England waters and packed with flavor. But not everyone can get ocean-fresh oysters and have to rely on the frozen or canned varieties that are readily available in most supermarkets. Here in New England, fresh unshucked oysters in the shell sell for about $1.25 each while eight ounces of canned oysters in water are about $5.50 and depending on the size of the oysters (the company says they vary), you’ll get eight to 12 oysters per can. But there has always been a problem using canned or frozen oysters. Unless you save oyster shells, how do you serve oysters without having shells? A product developed by Loftin Oysters of Destrehan, Louisiana has a solution: ceramic oyster shells that look like the real deal. The shells, made in the U.S., are a blend of heat resistant organic materials that are molded and finished by hand so each shell is unique. According to the company, most shells hold about 1/4 cup of liquid or 1/2 cup of topping or stuffing. Each set of 12 comes with a burlap bag for storage. They are dishwasher safe and can be used under a broiler, on a grill or in the oven. They’re perfect for grilled, smoked, broiled or roasted oysters such as Oyster Rockefeller, Oyster Bienville or any other dish using shucked oysters. Oyster Rockefeller was created at Antoine’s restaurant in New Orleans in the late 1890’s and consists of shucked oysters topped with a mixture of spinach, parsley, watercress, chervil, Parmesan cheese, Pernod, bread crumbs and a variety of other green vegetables, topped with a creamy sauce and then broiled until the crumbs are golden brown. 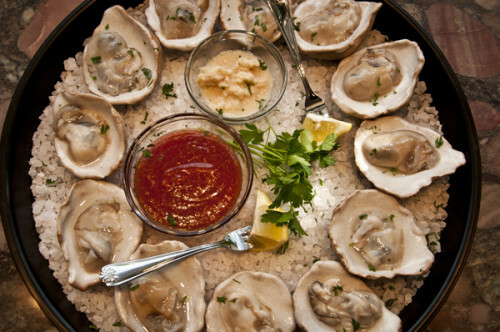 Oysters Bienville, which many food historians say was a rift on Oysters Rockefeller, also originated in New Orleans at Arnaud’s restaurant in the 1940’s that is made with shrimp, mushrooms, bell peppers, sherry, a butter-based roux, Parmesan cheese and bread crumbs. Melt the butter in a pan over medium heat, sauté the onion and garlic until translucent, and add the flour to make a roux. Add the crawfish tails and cook for two minutes. Then add the dash of Worcestershire. Stir in the vodka and allow sauce to come to a soft boil. Then carefully with a long-neck lighter set fire to the sauce to burn off the vodka. Next, add the salt and pepper, red pepper flakes and whole milk. Let thicken, usually six to eight minutes. Place the oysters in the shells and spoon about a 1/4 cup topping over each. Broil for five to seven minutes or grill for about eight minutes until bubbly and slightly golden. Spread about 3/4 inch of rock salt in the bottom of a 13- by 9-inch baking dish. Arrange Loftin shells on top of rock salt. In a large saucepan, heat oil over medium-high heat. Add onion; cook until tender, about two minutes. 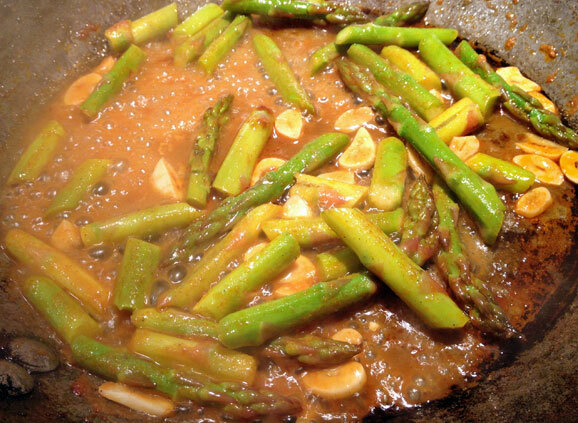 Add garlic, mushrooms, shrimp, wine, salt and pepper, and hot sauce if desired. 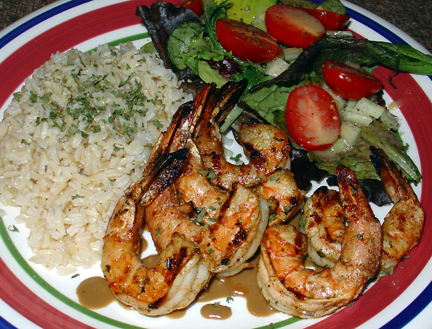 Cook until mushrooms are tender and shrimp are pink and firm, two to three minutes. Sprinkle with flour; cook for one minute, stirring constantly. Add broth and stir to combine forming a blond roux. Add milk; cook until creamy and slightly thickened. Remove from heat and add egg yolk, stirring constantly. Spoon about one tablespoon shrimp mixture onto each oyster shell and top with bread crumb mixture. Bake for about 15 minutes or until the crumb mixture is lightly browned. Garnish with green onion and lemon, if desired. Serve immediately.